HBO have dropped another trailer featuring tidbits from the upcoming eighth series of Game of Thrones and it’s keeping fans’ thirst for information quenched as this torture continues. The Game of Thrones snippets are accompanied by clips from Deadwood, His Dark Materials, Watchmen, Big Little Lies, and Euphoria. The Game of Thrones footage begins 48 seconds into the roll call of great HBO shows coming this year. Fans are only offered three scenes from the upcoming eighth series, the latest in the drip feeding of information about what we can expect. Perhaps it’s Drogon – or maybe Rhaegal – soaring over an army of Daenerys Targaryen’s men with spears, marching toward the war waged by The Lady Of Dragonstone, The Unburnt ruler, the Protector of the Seven Kingdoms. Arguably, it is set to be the most pointless war in the history of Westeros, as Jon Snow put it, reminding his Aunty she’d be ruling over a graveyard if the seven kingdoms don’t rally together to defeat the Night King. You’ll remember he’s nabbed Viserion for his own wicked flights. Two dragons against one all-powerful blue one? Not sure about the odds, to be honest. Meanwhile, we have been promised the bloodiest battle in the entirety of the eight series of Game of Thrones; they’re not calling it the Great War for nothing, you know. Even though each episode has been equated to its own little feature film, it’s probably still not enough Game of Thrones content from which fans can construct theories until their dying days. 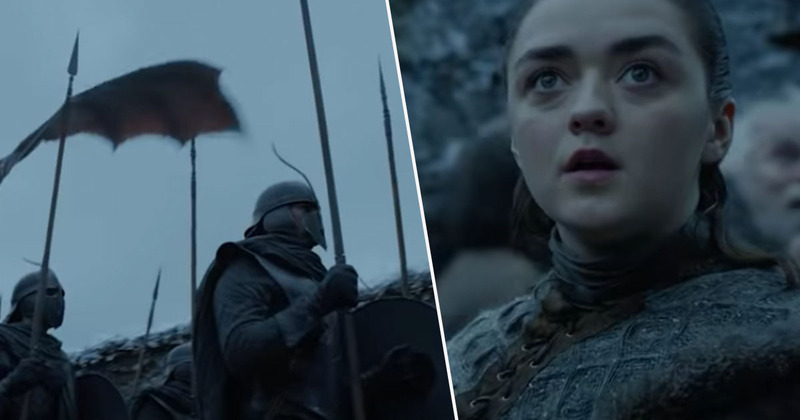 One of the most convincing theories of late came after yet another season eight teaser, titled the Crypts of Winterfell, featuring the Stark siblings. The trailer sees Jon Snow, Sansa Stark and Arya Stark walk the lengths of a gloomy crypt, haunted by voice-overs echoing their now-deceased parents from seasons past. Meanwhile Liam Cunningham, who plays The Onion Knight has spoken: ‘Valar Morghulis‘ – telling The Late Late Show with host Ryan Tubridy on RTÉ One ‘we’re all going to die’. There you have it. Onto the prequel.